This title is part of Phonics Bug - the first synthetic phonics programme to bring together research-based teaching methods with 100% decodable books, CBeebies video, and an online reading world to give today's children a firm, fun foundation in Phonics. 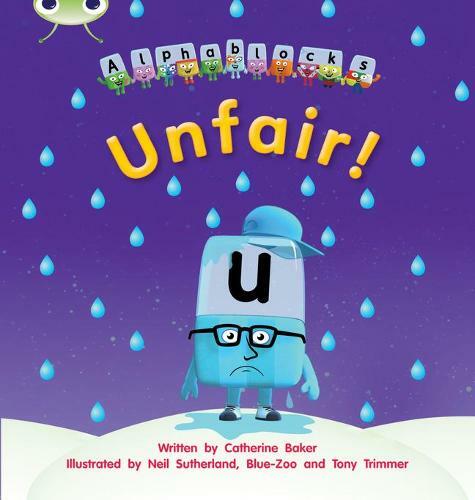 In this Phase 3 (Set 11) Phonics Bug Alphablocks fiction book: U thinks it is all unfair. Can the Alphablocks cheer him up? This title features the popular CBeebies Alphablocks characters.